Home / IT Service Management / ITIL Foundation / ITIL Certification Cost: What Is Its ROI? How much does ITIL certification cost? How much should I invest for ITIL Certification? Is the ITIL certification cost worth the returns? We all need answers to these questions before we take the plunge into ITIL Foundation Exam, don’t we? So, read on to know more about ITIL certification cost. What are the Components in ITIL Certification Cost? You definitely will have the ITIL Foundation Exam cost in the ITIL certification cost. If you are planning to take ITIL course to prepare for the ITIL Exam, you need to add that to the ITIL certification cost. 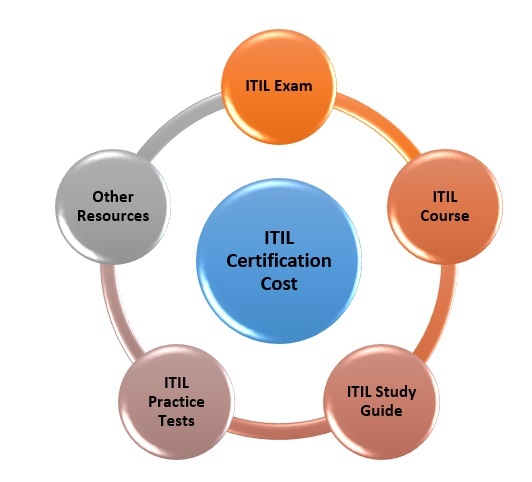 What other cost components are included in ITIL certification cost? Let us explore the additional or alternative cost components in the ITIL certification cost. If you want to get certified in the first attempt, you need to have a rock solid preparation plan. What do you need to include in your study plan or preparation plan? Some of the professional ITIL Certification exam websites offer their practice tests for about $25-50. But, there are also many free practice tests for ITIL 4 Foundation exam available online. Therefore, you can try bringing down your ITIL Certification Cost by trying out some popular ITIL Free practice tests that are full-length. You may need this if you have not attended the ITIL course from an ITIL Training provider. As already mentioned, you may get access to Full-length practices tests from the training provider. For a failsafe method, you need to adopt the PDCA Cycle or Plan- Do-Check-Act method in your preparation. What is PDCA method for ITIL preparation? Plan: You create a study plan with one complete round of reading the ITIL life cycle, answer ITIL Foundation exam questions and take full-length ITIL practice tests. Do: Implement the plan. What does this involve? Put the plan into action. Check: Review your scores and assess the areas for improvement. Act: What will you do after you spot what topics to improve? Of course, improve it. This means, revise, take the test, review until you are getting to your target score. Therefore, if you did not have any ITIL tests to practice, you may need to buy them from the ITIL Certification Cost. You always need to add some buffer or contingency factor to take care of risks. You may feel jittery after you have scheduled the exam and may want to take some more tests. Or, a quick revision of concepts with some mind maps, process diagrams, flash cards, etc. Let us see what all could form the ITIL certification cost. 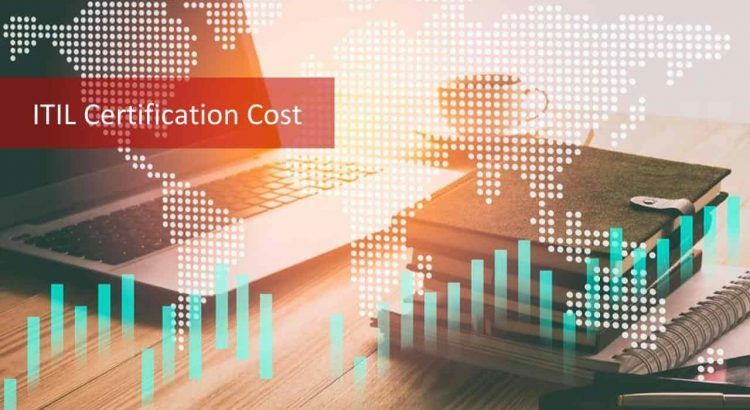 Whether you opt for an ITIL course or self-study, these are all the ITIL certification cost components to consider. Therefore, before choosing an ITIL training provider, you need to assess many of these aspects. We will come to the selection of an ITIL training provider in a bit. What mode of the exam are you planning to take? What do we mean by mode of the exam? If you look up the Axelos website, you may see that you can take a paper based or online exam. By the way, wondering what this Axelos is? Axelos- is a Joint venture of Capita and UK Government. Axelos owns the copyright and intellectual property rights related to ITIL from 2013 onward. In addition, it suggests that you can take ITIL training from an Accredited Training Organization (ATO) and ITIL Foundation Exam at the end of it. You can also study by yourself without a training from ATO and sit for the exam from an ITIL Examination Institute. Moreover, Axelos has given the complete responsibility of processing applications and conducting ITIL exam to its ATOs. But, the options we are discussing are as follows. You don’t need to go anywhere to take the ITIL Foundation Exam. If your career does not permit you to go to a test center or attend an ATO, this is a God sent opportunity or Axelos given the opportunity. Typically, ATOs conduct the exam after their ITIL course is complete. 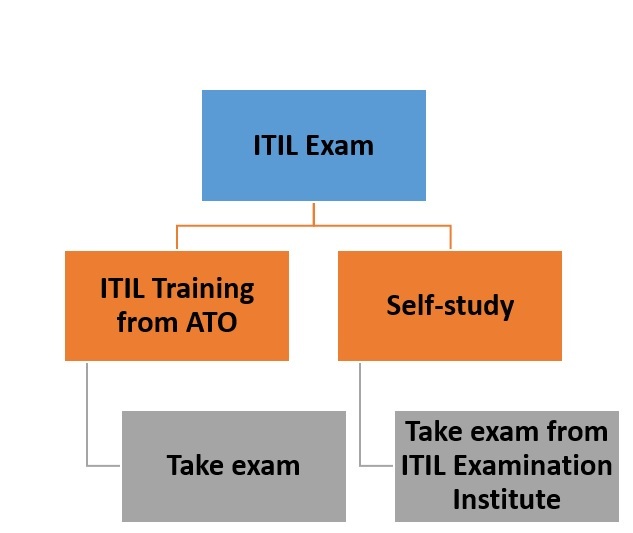 Therefore, choose a good ATO and then exam comes as part of the ITIL training. Now, coming back to ITIL certification cost. 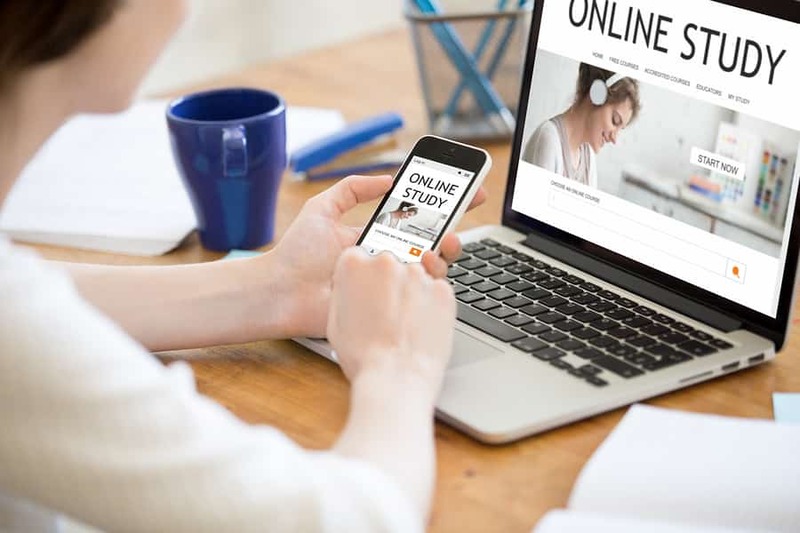 Would you prefer to take the online training or a classroom training? The cost varies based on this in addition to the geographical location if it is a classroom session though. You get the flexibility of learning from anywhere, anytime and at your pace from online ITIL course that explains the ITIL Framework. What more can you ask for? Actually, you get a little more without even asking for in online ITIL course. What are the other benefits of online ITIL course? ITIL Certification cost with online options is much lower than a classroom mode. How much? What are the prices? On an average, it may cost $275 while it may also be available for much lower or higher depending on which country you are in. In the UK it could be an average of £200.00 while in India it could average at Rs.15000. A classroom session could be around $2000 too in some places. If you are looking for low ITIL Certification cost, you can even go for a monthly subscription in online mode. These could come at as low as under $50 per month. Your question- can I finish in one month? It all depends on what drives you? If you work well under tight timelines and a specific deadline motivates you, this is definitely for you. What resources would I be getting in an online mode? If you are already a PMP, you can get about 14-16 PDUs (Professional Development Units) that help maintain your PMP Certification. Some training providers give you a money back guarantee. Of course, conditions will apply and always check the fine print before you jump in. Handouts that you can download and handy when preparing for ITIL Exam. Some of the providers give support for your queries after the sessions. Now that you have seen the various options available for ITIL Foundation Exam, you can choose how you want to take it. You get the ITIL Bundle of training plus exam. Many training providers (ATO) do that. 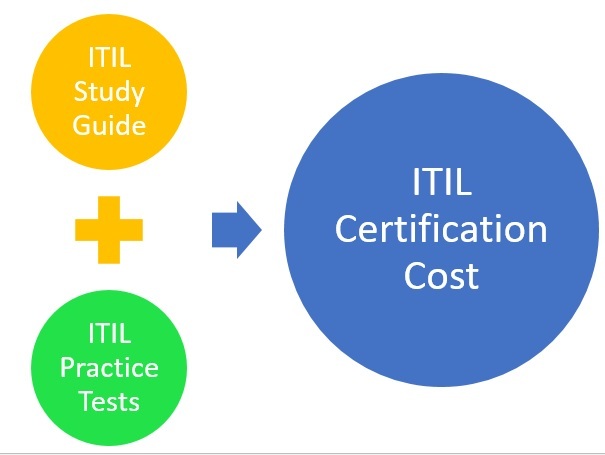 So why lose the opportunity of a lower ITIL Certification cost? Tips and Tricks and support from the institute. Now, if you are sold on the idea of going for an ITIL course, the next question is: How do I know which is better? Any guidelines to decide? What is the experience level of the instructor? What are the testimonials from the past participants? Does the ITIL Certification Cost include the exam fee? What resources are provided by the training provider? How long is the access provided to the e-learning resources? Are there full-length mock ITIL certification exams available for you to practice? Remember, these could add to your ITIL Certification Cost if not given. Will you be given a study plan and a Study Guide as these are included as components of ITIL Certification Cost? I am sure you would not want to increase your ITIL Certification Cost! Isn’t ITIL all about cost reduction and efficiency improvement? Why not start applying these ITIL principles for selection too? Any quiz provided at the end of each topic? 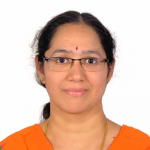 Can you interact online with other participants to discuss on the ITIL Foundation Exam topics? What kind of support would be given by the institute after you sign up for the course? What does ITIL Foundation Exam comprise of? What should you be knowing for ITIL Foundation level? Essentially you need to understand the ITIL Framework and the concepts of ITIL Service Lifecycle. Now that is very broad and generic. So, let us explore what topics you need to know and at what level? ITIL Service Life cycle covers the end to end processes and functions to be followed for increased efficiency and reduced cost in ITIL Service Management and Delivery. The life cycle is always from the start to the end. 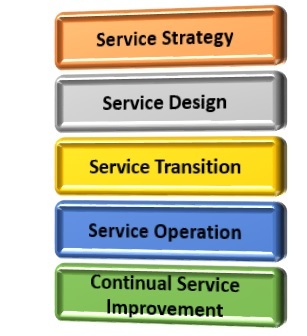 The five core volumes or stages in ITIL Life cycle are as follows. For the ITIL Foundation exam, you need to be aware of in addition to having a comprehension on some of the areas. You need to have the high degree of understanding of what it is and how it works (Comprehension) for some of the processes, functions, principles, roles, models, etc. But not all are at this level. For some, awareness is enough. What this means is, if you know that they exist and what their function is, you are prepared for the ITIL 4 Foundation certification. Therefore, for the ITIL Certification Cost you put in, make sure you have the awareness and comprehension. At least for the above topics, make sure that you get money’s worth for the ITIL Certification Cost you are putting in. These are what you need to have awareness of. Therefore, for the ITIL Certification Cost, are you getting awareness on these topics? How much will you earn? What is the ROI of ITIL Certification Cost? You have seen the aspects of ITIL Certification cost. Now you would obviously want to know how much you may earn after getting the ITIL certification. All of us want to know what is the Return on Investment (ROI) ofITIL Certification cost? If you are planning for IT Operations and Help Desk, as a Systems Administrator, you may earn an average annual salary of $75,436. As an Incident manager, you may get $80,357 per year. These are reported for the USA. If you are in India, you could get anywhere between Rs 3,00,639 – Rs 10,31,603 as an Incident Manager. While in Australia, you could get AU$58,305 – AU$128,276 as an Information Technology (IT) Consultant. An IT Manager in the United Kingdom would earn £29,844 – £66,430. Now you have a basis for assessing ITIL Certification Cost against benefits. You would know the best practices and hence sought after in your organization. Is that not a good reason to incur the ITIL Certification cost? In addition to these, with this ITIL Certification cost, you get credits that help in the higher level ITIL certification such as ITIL Intermediate, ITIL Expert, and ITIL Master. You could also think of ITIL practitioner after you clear the ITIL Foundation for this ITIL Certification cost. As you can see, the salary anywhere is something that would motivate you to take the ITIL Foundation Exam and be certified. Compared to the salary, ITIL Certification Cost is minimal and worth it. ITIL Certification Cost would be offset by the increase in salary. The other key point for investing in the ITIL Certification Cost is it opens the gateway for a career path that is evergreen and flourishing.